Description: Very flat and short. Close to other amenities in the park. Several holes are close to playground equipment but the park is usually not busy. Local Directions: On the southwest corner of the intersection of Grant Ave. and Hwy. 15. 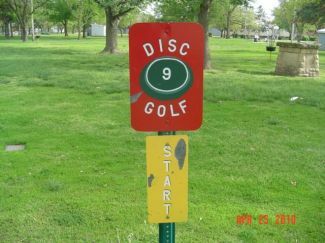 Tee 1 is on the north side of the park near a shelter.